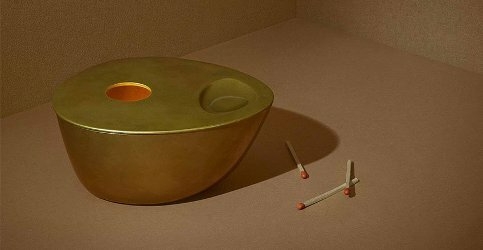 Aesop's brass oil burner: "An object of substance and beauty—a unique, refined alternative to traditional burners. Designed for Aesop by Studio Henry Wilson and crafted from solid brass. 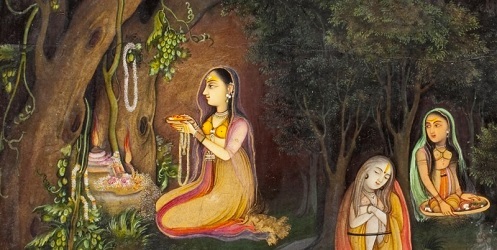 [...] Dispense five to ten drops of your favoured Oil Burner Blend into the oil well. Use a standard tea light candle." $170. If you don't already have the perfect oil you might consider their Anouk blend with lemon, bergamot and ylang ylang, $39 for 25 ml. 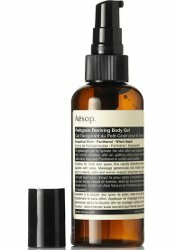 I might need this before the weekend is through: "Aesop's hydrating body gel is perfect for reviving dry, sun-exposed skin. This uplifting citrus-infused formula is enriched with a soothing blend of Aloe Vera and Panthenol, plus Petitgrain, Grapefruit and Lemon to leave you feeling cool and refreshed. We think it's ideal for warm weather vacations." Petitgrain Reviving Body Gel is $41 for 150 ml at Net-A-Porter. 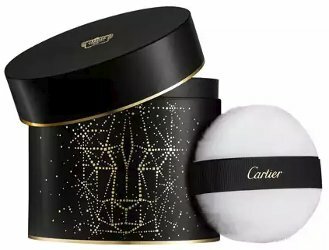 We’re starting off this year’s holiday gift series with scented body products of all kinds, and as always, do add any of your own recommendations in the comments! There are seven more posts to come. Two minutes in the woods, for Aesop Hwyl.